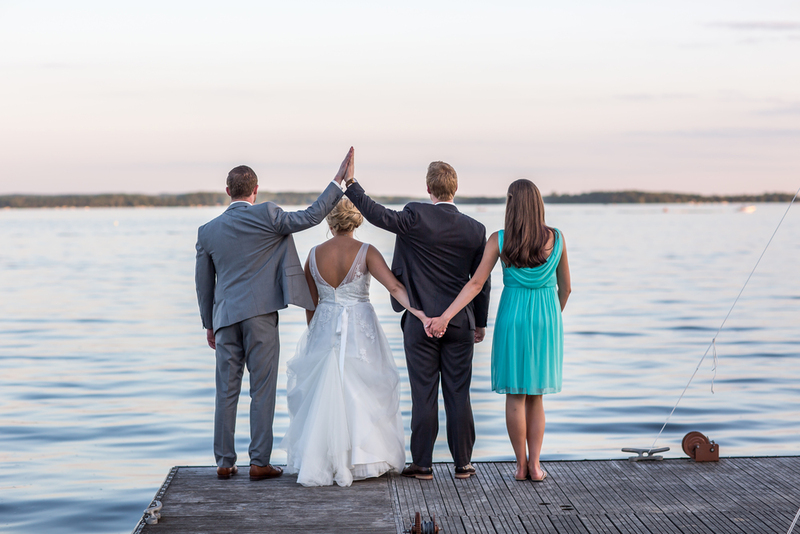 I don't think I've ever felt so welcomed or comfortable with a bride + groom + wedding party. We were offered sandwiches, drinks, and an amazing meal at the reception. I was taken aback when I asked how Lahren was doing and she responded most genuinely, "I'm good, but how are you doing?" I saw the bride caring for others on HER day, and that made mine. 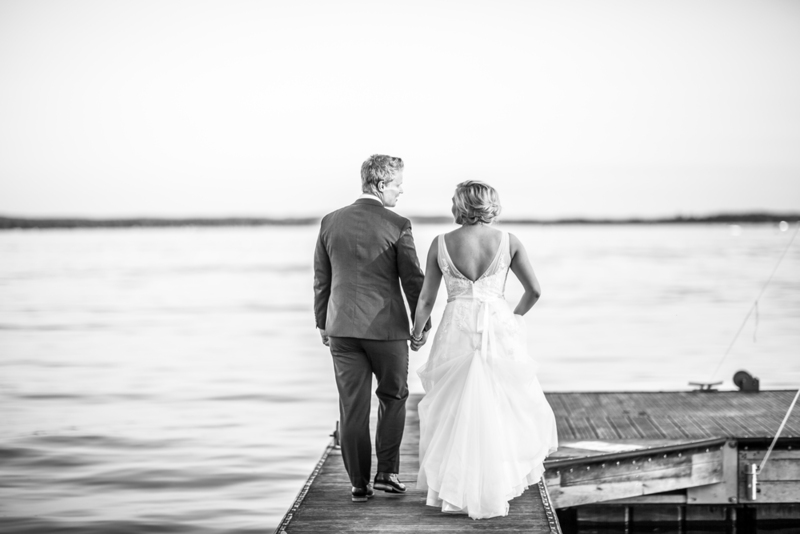 The couple was so kind and stress free that it made the day SO enjoyable. 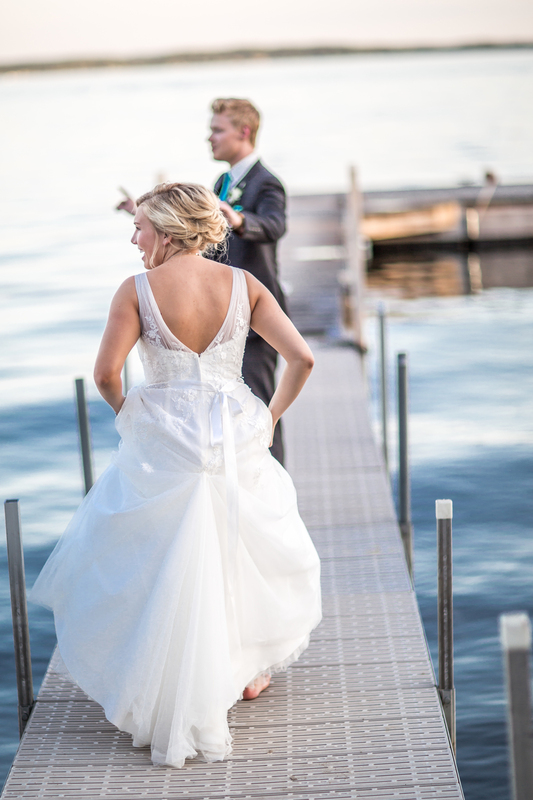 After the speeches and first dances, we went to the dock outside the venue to shoot a bit at sunset. 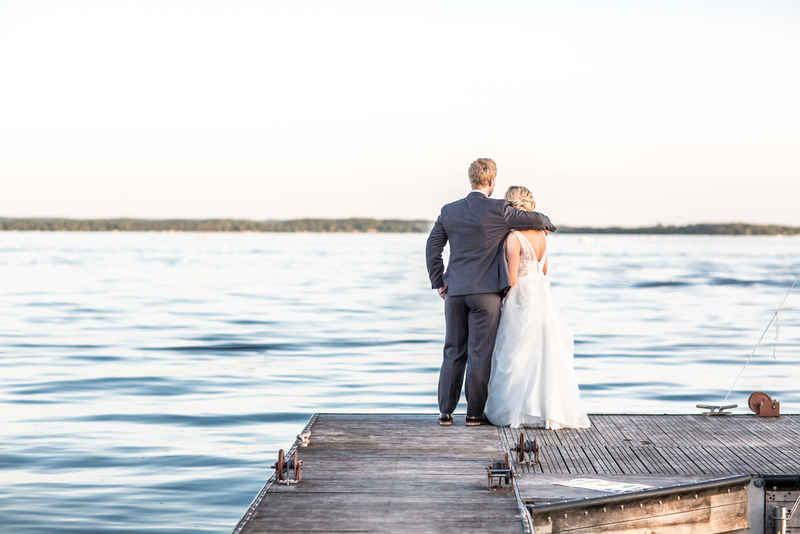 The lighting was perfect, the water was still, and the couple was glowing by the side of the lake. I love kissing photos, but usually not close-up kissing photos. These two were an exception. That look when your new husband buys you a new motorcycle. These shots were right before going to the dock. 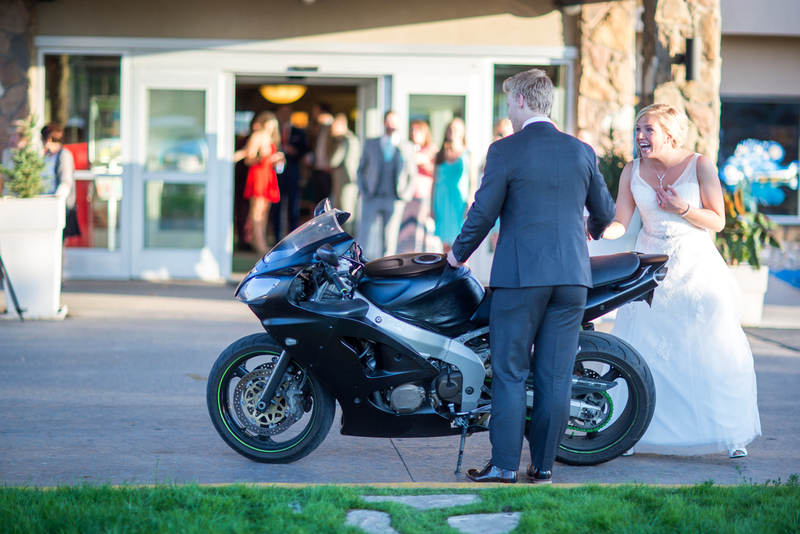 They walked outside the hotel and the groom says, "Do you know who's bike that is?" He then pulls out the keys and handed them to Lahren. 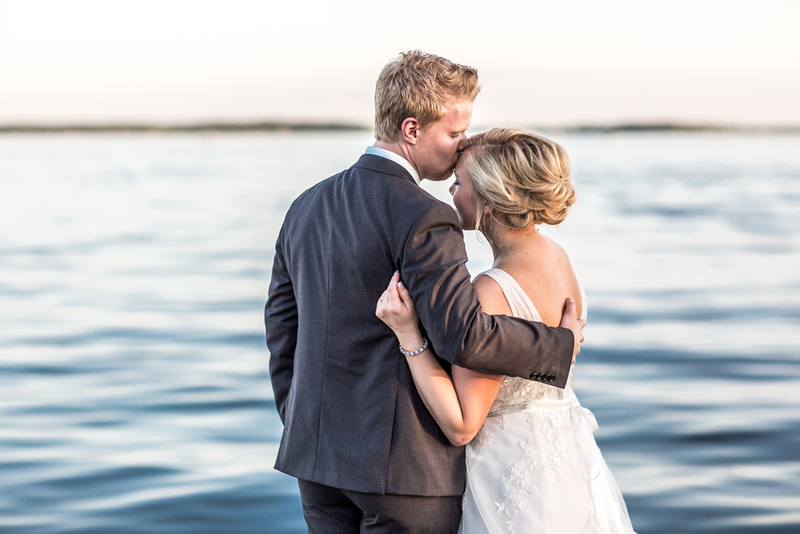 This couple has been so much fun to blog about, and I haven't even gotten to the actual ceremony photos yet. WOOHOO. 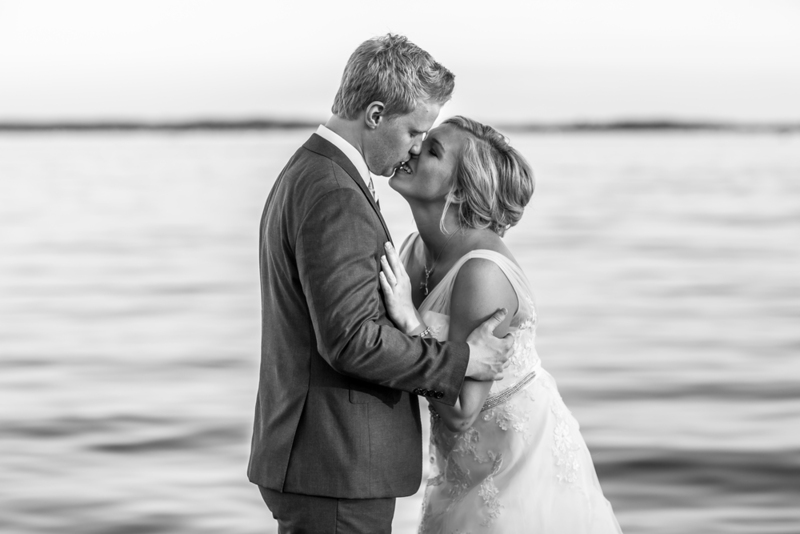 Like Friesen Photography for future links to this couple's blogs.